Behavioral activation theory indicates that much clinically relevant human behavior is a function of positive reinforcement, and that when positive reinforcement is reduced, lost, or chronically low depression results. Behavioral activation encourages clients to obtain and nurture the skills that allow them to establish and maintain contact with diverse, stable sources of positive reinforcement. This creates a life of meaning, value and purpose. Behavioral Activation: Distinctive Features clarifies the fundamental theoretical and practical features of behavioral activation, integrating various techniques into a unified whole that is efficient and effective. The book includes numerous case examples and transcribed segments from therapy sessions and outlines behavioral concepts using straightforward terms and examples so that all therapists can see the utility and practical value of this approach. 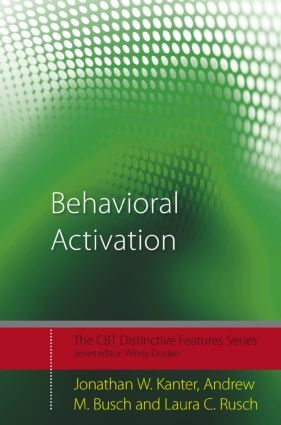 This book will provide essential guidance for students and new therapists, as well as more experienced clinicians wanting to know more about what makes behavioral activation a distinct form of cognitive behavior therapy.